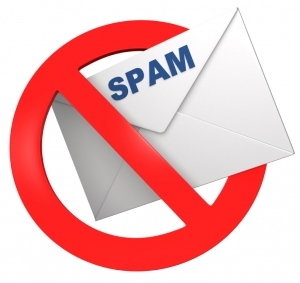 The bulk of Canada’s anti-spam legislation (CASL) takes effect on July 1, 2014, and it will affect anyone whose business uses commercial electronic messages. The law focuses on spam and other electronic threats. Items covered include: sending unsolicited commercial electronic messages, false and misleading websites, and the unauthorized collection of electronic addresses. Texting, blogs, and social networking are all part of the law. Tactics often considered “hacking” are also covered, such as installing computer programs without consent, altering data and transmitting it without authorization, and collecting personal information by accessing a computer system. If your business does any Calgary online marketing—and you probably wouldn’t be here if it didn’t—read on, and we’ll help you understand what you must do to be sure to maintain compliance. CEM stands for commercial electronic message. According to the Government of Canada website, if one of your reasons for sending an email is to “encourage the recipient to participate in a commercial activity”, then your message is probably a CEM. In addition to the content, consider the contact information and whether there are hyperlinks to a database or website content. Just because a message includes a logo doesn’t guarantee it as CEM, but if you promote a product or service, then it most likely would be. You can get consent to send a message either orally or in writing. But it is up to the sender to be able to prove they have consent. This means you should be able to establish when, why, and how you obtained consent and whether it was granted orally or in writing. Inaction or silence are not considered forms of consent. The recipient must make a positive action to show consent. You may provide check boxes to request consent, but the check boxes may not be pre-checked. Additionally, there is a three-year transitional period regarding implied consent to send CEMs for Calgary online marketing purposes that begins July 1, 2014 when there is an already existing relationship (either business or non-business) that includes CEMs. According to the law, implied consent will end if the recipient indicates they no longer want to receive CEMs. You may use the transitional period to request express consent to continue sending CEMs. If you have a personal relationship with the recipient, the CASL restrictions do not apply. Personal relationships are evidenced by close relationships that show frequent communication, shared interests, experiences, and opinions. Personal relationships do not extend to “virtual” or online identities, so being a friend on Facebook or following someone on Twitter isn’t enough to show a personal relationship. The bottom line: if you’re using social media as part of your Calgary online marketing, you need to follow the law. CASL affects all of us who use the Internet to do business. There are strict penalties (up to $1 million for individuals and $10 million for businesses), so it is important to know and understand the law. The team at Emphasize Design is here to help. We know your web design should be your most effective tool for informing prospective customers, and we can help you make sure your Calgary online marketing plan is compliant with the law. For more information about this important new legislation, check out the government’s FAQ, and to stay up to date on all the latest industry news, best practices, and strategies, read the Emphasize blog.